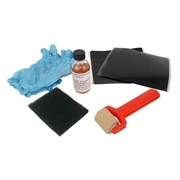 The 1" Filter Media Pad is covered with 1/8" fine mesh bag with draw string.. 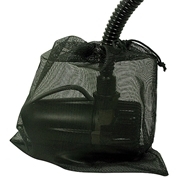 Simply set the motor into the Airmax® EcoSeries™ Filter Sock and pull the sewn-in drawstring to secure it in place. 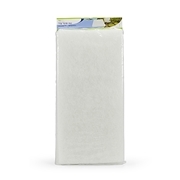 Clean as needed by removing the AquaStream™ Filter Sock and rinse with your garden hose to remove collected debris.